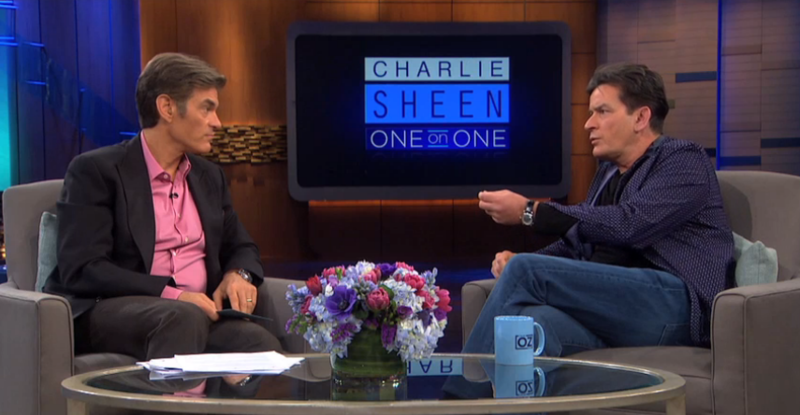 Charlie Sheen, Why Are You Asking a Heart Doctor About Your Brain? I ask Charlie Sheen, and all those who may face these health challenges, to not be dismissive of their conditions and seek real help from real professionals. We live in a culture where each person's words and perceptions have great impact; and since every one in four Americans has a brain health condition, imagine what could happen if we started treating a quarter of our population with the dignity, respect, and care they deserve. Silence speaks volumes. When it comes to discussing a health issue that affects one in four Americans, silence is what keeps an individual from seeking help for mental health conditions; silence is what prevents us from supporting a family member, a friend, a partner who seeks mental health care; silence is what enables us to ignore the person who lives on the street, or worse yet, a person chronically entangled in the criminal justice system. That is -- the silence around brain disorders in this country is a nonverbal way of communicating shame, discrimination, misunderstanding, and fear. 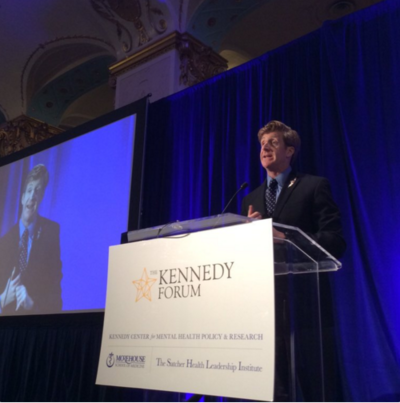 At the second annual Mental Health State of the Union, hosted by the Kennedy Forum, former Congressman Patrick Kennedy adamantly stated as much. This gathering, which involved the most powerful clinicians, researchers, elected officials, philanthropists, and celebrities in the mental health advocacy community, continues to function as a stamping out of that silence -- a concerted effort towards fixing a health system that ignores brain-based, behavioral health challenges. Yet, the silence surrounding brain health is only half the issue, for when we do talk about these challenges publicly, the negative language, tone, and even the kind of attention we pay to it -- can cause grave harm. One major public figure, who has previously promoted discriminatory portrayals of brain disorders, comes to mind: Dr. Oz. Over the past few years in my blogs, I have called on Dr. Oz to take brain health more seriously -- from my criticism of his offensive and clinically-dubious "Nuts or Normal" series to my questioning of his adherence to the Hippocratic Oath. Repeatedly, I've had to wonder, Where is his integrity? After an episode back in January, where Dr. Oz attempts to dissect Charlie Sheen's symptoms and behavior onscreen, while simultaneously shaming and blaming Sheen for his inability to acknowledge or deal with his brain disorder, it seems I have to ask this question once again. Dr. Oz is a cardiologist, not a psychiatrist: Why is Charlie Sheen consulting a cardiologist for a brain-based condition in front of millions of anonymous viewers? Is this not symptomatic of a poorly-functioning, invisible mental health care system -- that a celebrity, with the resources to seek high-quality care, chooses to listen to reality-TV advice? A short while ago, Dr. Oz's colleagues at Columbia University began calling for his resignation, and since then, he has become more savvy. I've been writing about his dubious attitudes towards brain health for some time, and while I'm glad to see he has absorbed some of the criticism by consulting with experts in various medical specialties, I am still skeptical. 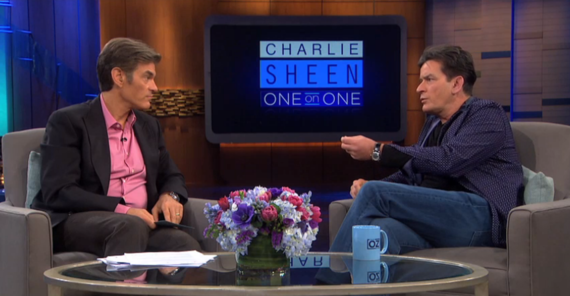 In his discussion with Charlie Sheen, Dr. Oz technically covers himself by having a psychiatrist ask the questions. But ultimately, he attempts to lead the diagnosis by injecting his opinion and suggesting that Sheen has bipolar disorder. Of course, Dr. Oz's goal is to be helpful, but doing so like this seems disingenuous. In continuing a misinformed discussion of Sheen's brain health symptoms, Dr. Oz perpetuates negative narratives -- particularly fearful, sensationalized perceptions about mental health -- that will attract viewers. If you're trying to boost your ratings by playing into provocative portrayals of mental health, something isn't right. Mental illness is not a choice, it is an issue of brain chemistry. And the way we talk about it shapes the way we can treat it. Even subtle shifts in language can impact our attitudes towards brain health conditions. 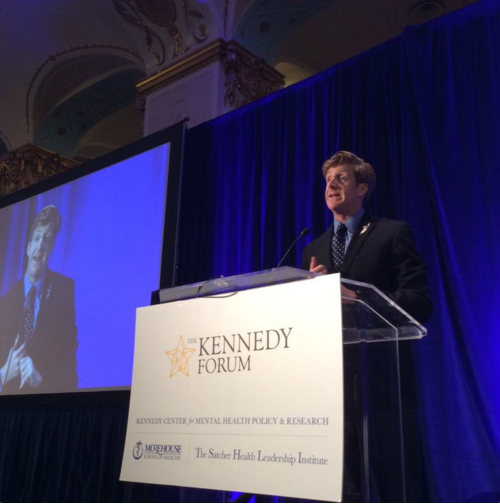 At the Mental Health State of the Union, Patrick Kennedy acknowledged how language can impact perception and inform not only our attitudes to treatment, but also our attitudes to individuals with the conditions themselves: "We've often talked today about drug abuse, that also is a pejorative term: abuse. No one wants to be anything part of someone who is abusing -- it's a negative connotation. It's a substance use disorder. It's a brain disorder. Yes, we have a lot of work to do about this." Harmful language and stereotypes have even been pervasive in the recent presidential-election debates. As Mary Gilliberti, executive director of the National Alliance on Mental Illness, pointed out, Donald Trump has repeatedly referred to his opponents as "wackos," "nut jobs," and "basket cases." On the Democratic side, the rhetoric isn't any better, as Bernie Sanders's comments at the last Democratic debate show. Sanders remarked (to the audience's rippling laughter): "And when you watch these Republican debates, you know why we need to invest in mental health." We need to invest in mental health because brain disorders affect every family in this country; we need to invest in mental health because it represents a major health crisis. Using a stereotype to undermine one's political opponents in this way only reinforces a negative narrative about mental illness, making the issue one of discrimination among many other things. Silence, discriminatory language, inadequate clinical attention, negative media portrayals -- these are all major obstacles to the effective treatment of mental illnesses. So, I call on Dr. Oz, I call on our presidential candidates, and I call on all of us, to think deeply about how we talk about brain health conditions in our public and private lives. I ask Charlie Sheen, and all those who may face these health challenges, to not be dismissive of their conditions and seek real help from real professionals. We live in a culture where each person's words and perceptions have great impact; and since every one in four Americans has a brain health condition, imagine what could happen if we started treating a quarter of our population with the dignity, respect, and care they deserve.